Mirtos is a small village in the South Eastern part of Crete. It is situated on 14 km from the town Ierapetra, the most southerly city of Europe and has little more than 600 inhabitants. Although the largest source of income during the high season is tourism, Mirtos is not yet overrun by tourists. 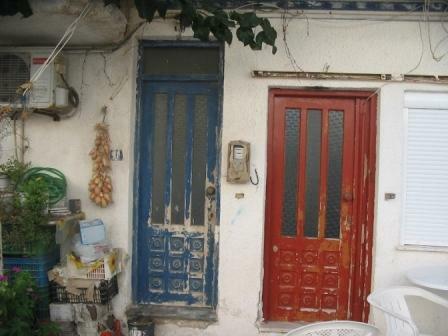 You are a guest among the local population, with their special customs and you will feel very welcome. Mirtos has two supermarkets, a bakery and a butcher for your daily shopping, as well as some typically Greek stores. In the center of the village and at the boulevard are numerous taverns, where from early morning till late at night you can enjoy a snack and/or a drink. Mirtos is situated on sea, the beaches are often furnished with sun beds and sunshades, but if you prefer more privacy you can find almost abandoned beaches in the direct neighborhood of Mirtos. Throughout the decades Mirtos has kept much of its characteristic charm. That’s why it is the ideal place for those who do not come for the sparkling night life, but want to enjoy the Crete you see on calendars and postcards. 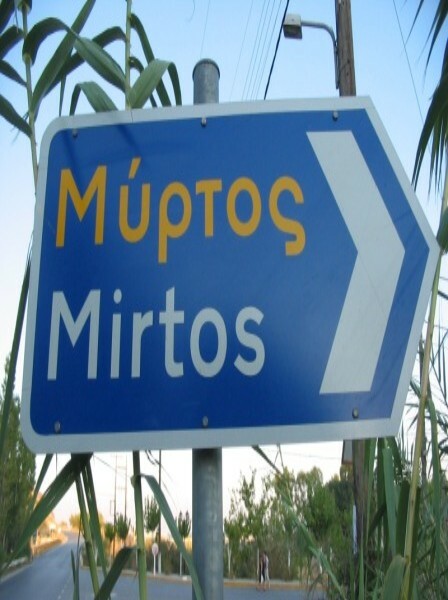 On average the temperatures in Mirtos are higher than in the north of Crete, because the north and south are separated by the Dikti Mountain. Mirtos invites you to discover all this.